Facebook's days as a public company have seen some serious ups and downs, with most of the news focusing on the down side. Today the company released its first quarter 2013 results, and overall, things are looking quite positive for the social networking giant, with a sizable increase in revenue and almost every other category. 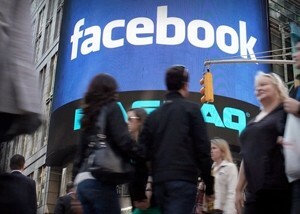 In Q1 2013, Facebook generated $1.46 billion in revenue, compared to $1.06 billion in Q1 2012. This equates to a solid increase of 38-percent year over year. As much as $1.25 billion came from advertising, or 85% of the total, and 30% of ad revenue came from mobile ads. To go along with the revenue increase, the company also spent substantially more money in Q1 2013. Facebook spent $1.08 billion during the quarter, up 60% from 2012. Facebook's earnings report cites "infrastructure expense and increased headcount" as the reason for the large increase in spending. The social network also shows a large bump in the amount of active users over the last year. In 2013, Facebook saw 665 million active daily users worldwide, while it saw 526 million in Q1 2012. Mobile usage is also on the rise, with Facebook seeing 751 million users accessing the social network each month through smartphones and tablets. Meanwhile, Facebook-owned Instagram also saw healthy growth with more than 100 million active monthly users on the service. All in all, Facebook ended up with a net income of $312 million and earnings of 12 cents per share.